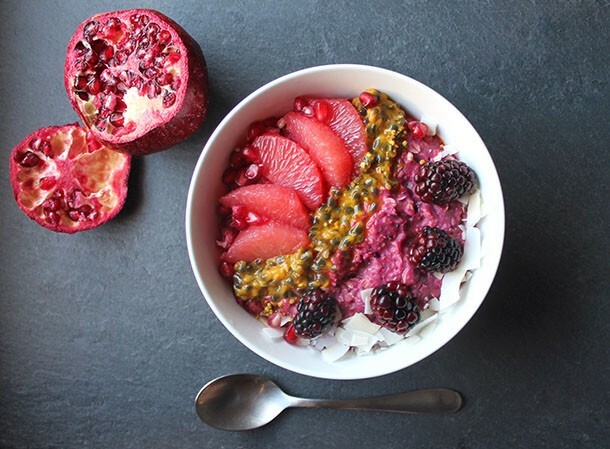 Berry pie rolled oats topped with fresh grapefruit, passion fruit, fluffy bee pollen, blackberries, coconut chips and pomegranates. An easy, vibrant and flavorful breakfast! Just what you need to wake you up in the morning – citrus and creamy perry porridge! Throw berries, agave and milk into a blender. Blend until smooth. 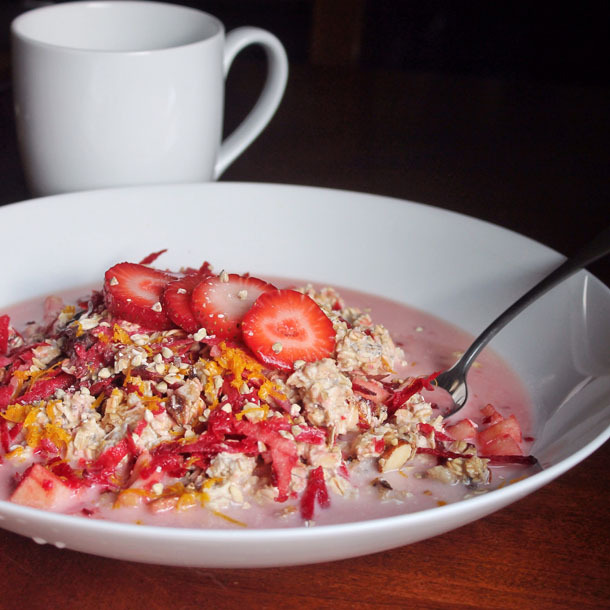 Pour berry-milk sauce on top of oats and heat on stove until cooked. 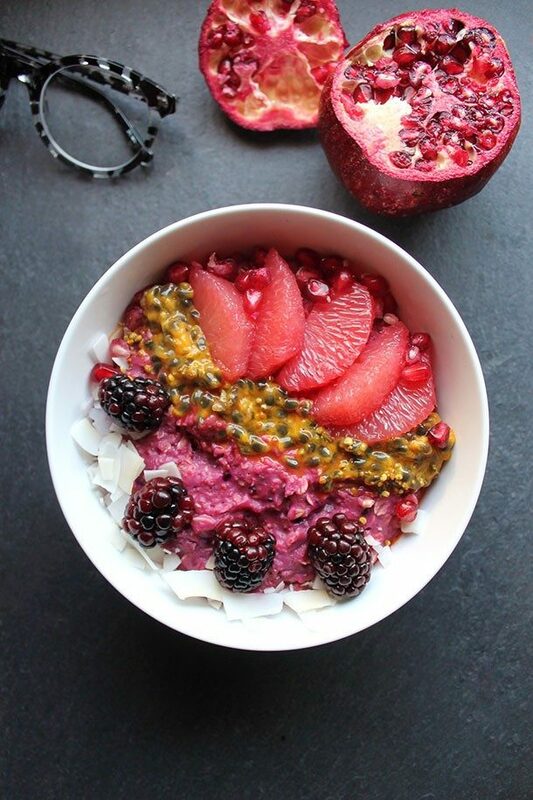 Top with fresh grapefruit, passion fruit, fluffy bee pollen, blackberries, coconut chips and pomegranates. This entry was posted in Breakfast + Brunch, Food, Healthy Food and tagged Fruit, Oatmeal, Porridge.